Note: I highly recommend playing Alien Swarm: Reactive Drop instead of the base game Alien Swarm. It’s a fan-made upgrade that’s better in basically every way – and just like the original, it’s free! Alien Swarm lets you choose from a roster of 8 characters spread across 4 distinct classes. There are 21 selectable weapons (25 in Reactive Drop) to equip as either a primary or secondary weapon, and 17 additional equipment choices for your third item. All up, that makes a lot of combinations possible, particularly when you have a full squad of 4 people – and RD even lets you go up to a squad size of 8! These two related concepts are where loadout decisions should begin. Some weapons are better suited to experienced players, while others can work nearly as well when fired by just a rookie. Similarly, there are some weapons which work great at lower difficulties that are much less effective as you ramp that setting up beyond the default. For rookies: you’ll want to start off with weapons that are easy to use effectively, and difficult to misuse. Auto-aim and utility effects are a plus, and you’ll probably want to stay clear of most explosives until you’ve got some experience under your belt. 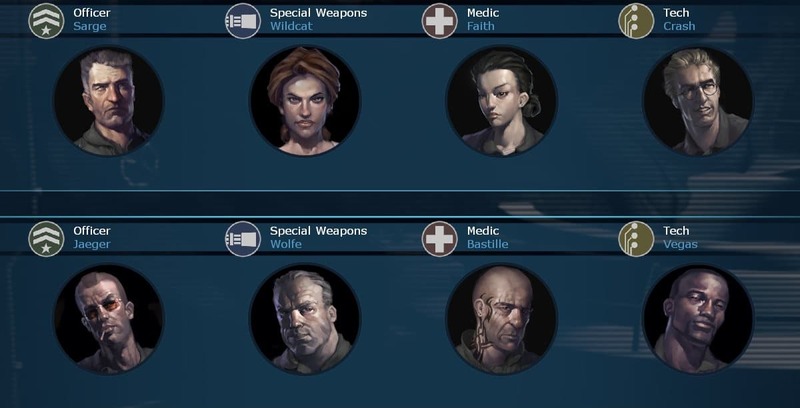 For veterans: balance out squad compositions by filling in the gaps – take weapons and equipment that your squad needs but the rookies will have trouble using. On lower difficulties (Normal and below): almost anything goes so long as you use it properly. Seriously – you can take out mobs of enemies using low-damage weapons just fine. On high difficulties (maybe Hard, definitely Insane / Brutal): low damage weapons will no longer clear mobs efficiently, so weapons and equipment will need to be taken specifically for that purpose. “Whoops” moments are often lethal, whether immediate or not. I’m going to assume here that you have a squad of four, or at least a squad of three. If you’re playing Reactive Drop then this should still apply fairly well to a squad of 5, but will become increasingly less comprehensive for squad sizes beyond that. Officers provide a minor buff to team mates that stay nearby (roughly on the same screen). Both officers have the Explosives Bonus, which most other classes don’t have. They are also the only class able to use the Vindicator, a powerful high capacity shotgun that’s able to hold off moderately large mobs at close to medium range. Special Weapons as a class generally have a higher damage bonus on standard weapons than other classes, and have a chance for their shots to penetrate past the first enemy hit – a trait which no other class has. Special Weapons have 3 unique equippable weapons that other classes are unable to use. These weapons are arguably the best at cutting through large mobs, and their massive ammo clips mean that they can do so with minimal reloading. Medics are not the only source of healing in the game, but they’re the only class capable of healing others, and they’re the exclusive users of the higher capacity, more reliable healing equipment. Their combat abilities are middling, but they heal damage and cure parasite infections faster than other classes. A squad is significantly more resilient with a medic than without. Techs are a mandatory requirement on specific missions to hack mission-critical computers and access panels. They also provide squad bonuses to the speed for setting up Sentries and using Hand Welders. 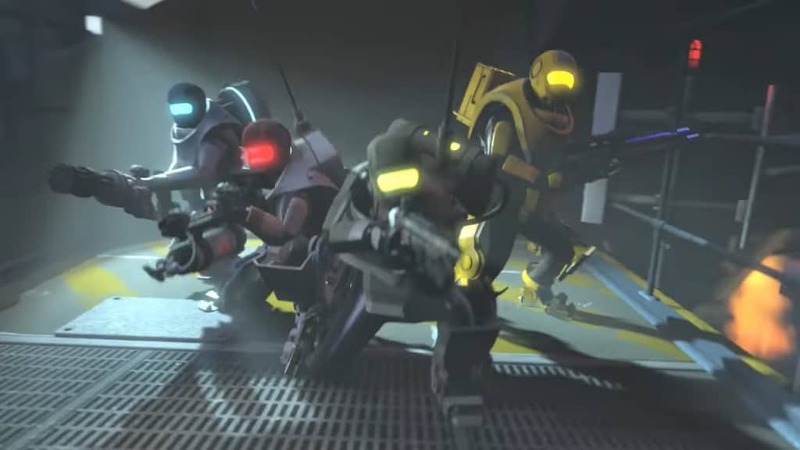 Their combat abilities are a mixed bag, but their exclusive access to the Prototype Assault Rifle is a useful perk for those lacking in the aiming department. Techs passively offer a movement scanner, which will highlight enemies on the radar on the bottom right of the screen. This alone makes them a valuable addition to a squad even when their hacking skills are not required. The three class-exclusive starting weapons. Left to right: Prototype Assault Rifle, Autogun, Vindicator. Not pictured: the Medic’s Healing Beacons.